Hackett: "We have clarity of purpose and now it's time to take action." 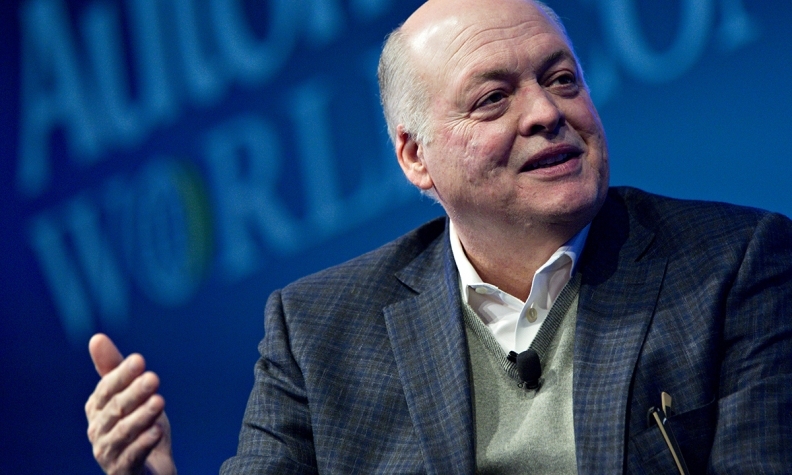 DETROIT -- With its stock trading near a 6-year low late last month, Ford Motor CEO Jim Hackett gathered the automaker's top 300 executives near its headquarters in Michigan for a global leadership meeting. With Volkswagen, discussions are focused on how to expand a commercial vehicle tie-up they previously announced to include collaboration in South America and Europe -- where Ford is losing money -- and co-develop other types of vehicles, according to a Volkswagen executive and two sources familiar with Ford's thinking who asked not to be identified. Pablo Di Si, CEO for Volkswagen in Latin America, told Reuters the companies are studying a partnership in Brazil and the talks are "advancing positively," although he did not expect an announcement until 2019. An expanded alliance would give Volkswagen access to some of Ford's most profitable vehicles, including the Transit commercial vans and Ranger compact pickups, said the two sources. VW could also help Ford strengthen its money-losing South American and European operations by combining vehicle production in those markets, the sources said. The moves are aimed to help Ford hit its goal of doubling global pretax profit margins to 8 percent by 2020, up from 4.3 percent in the second quarter of this year. "Hackett's job really is to cut the costs," said Edgar Wachenheim III, chairman of Greenhaven Associates, which is Ford's ninth largest investor with almost 33 million shares at the end of June. "You have this possibility that Hackett can eliminate the $4.5 billion of losses [in its weaker operations] that were there in 2017 and the earnings will shoot up."